Cut a 36" beading wire. 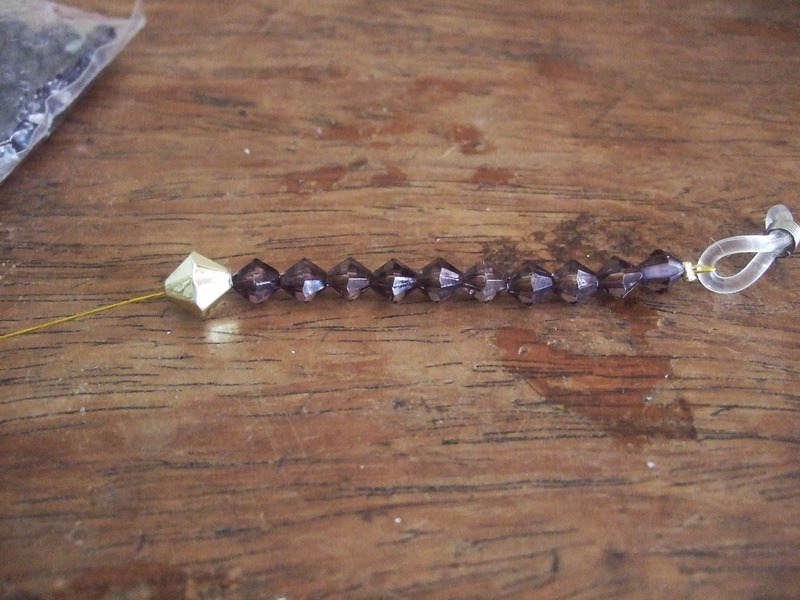 Thread one end of the wire through a crimping bead. 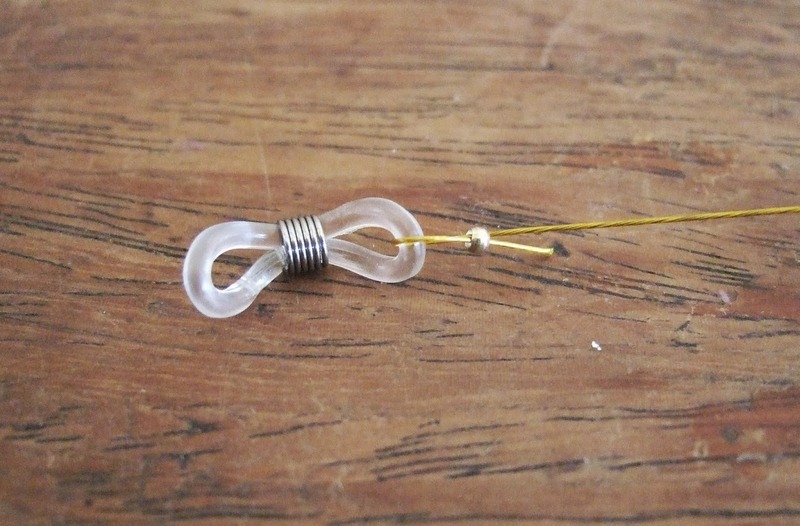 Loop the wire through the eyeglass holder and feed back through the crimping bead, forming a loop. Leave a short tail of the wire. 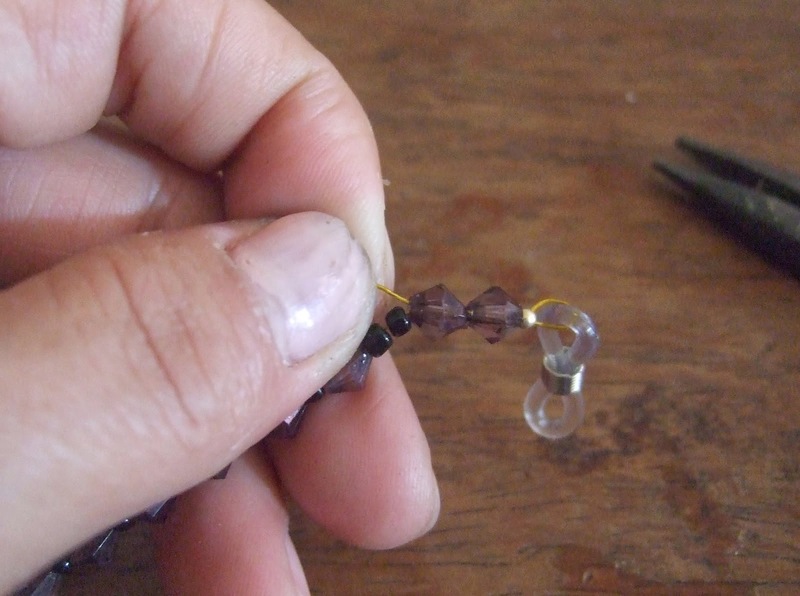 Slide the crimping bead up close to the eyeglass holder. 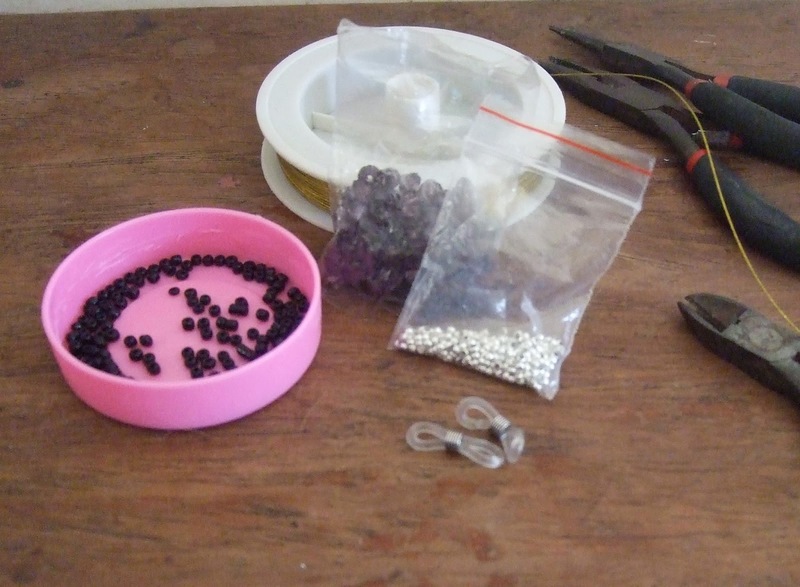 Close it by squeezing the crimp bead using a crimping pliers ( I don't have one so I use a flat nose pliers). 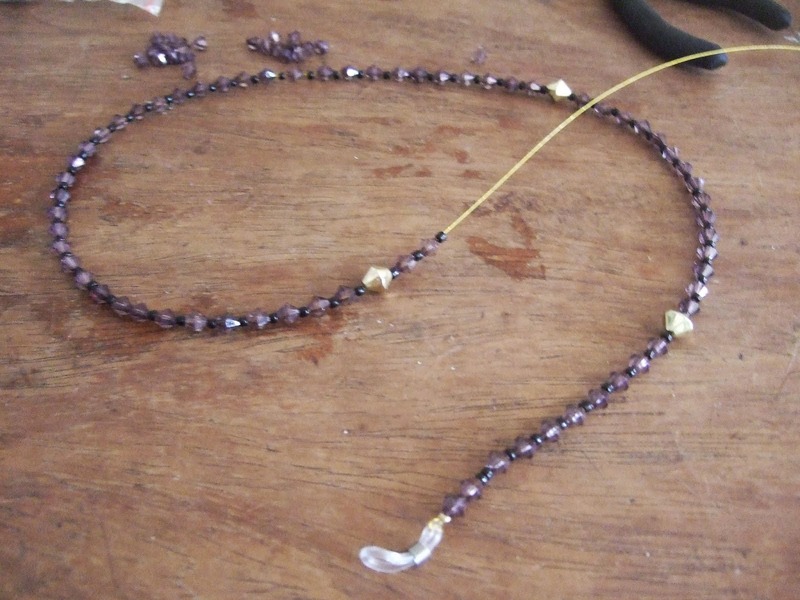 Insert the beads all the way until you reach the other end of the wire leaving 1-2" of it. 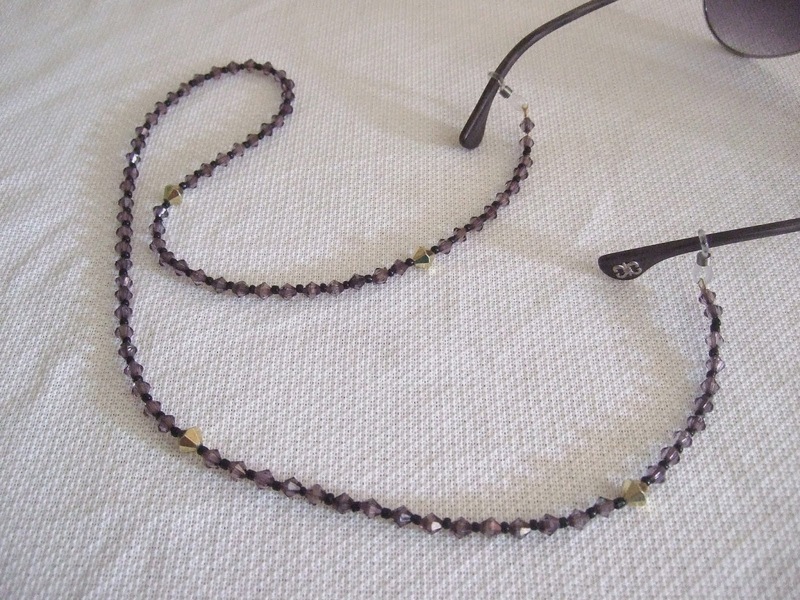 Thread the last crimping wire and clasp through the eyeglass holder just like the first step. Thread back through the crimping bead and through one or two beads. 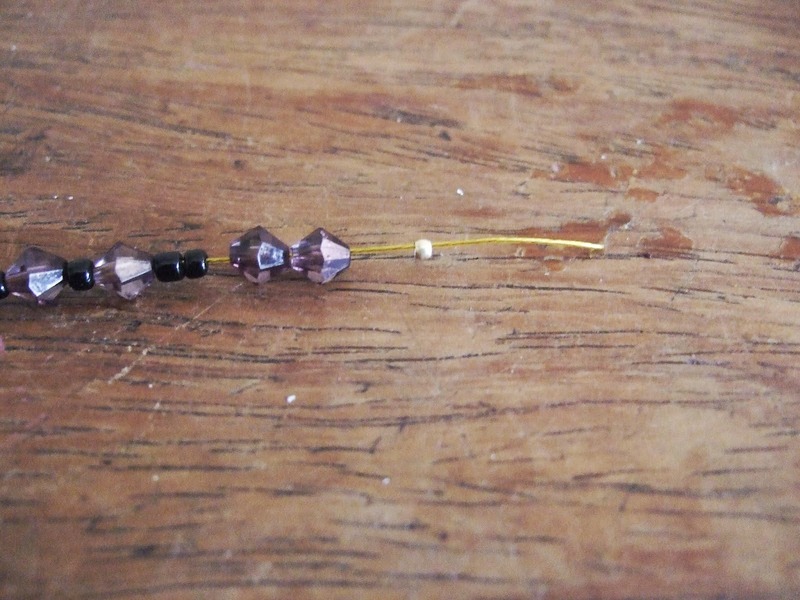 Be sure to tighten on all your beads by pulling on the tail end of the loose wire before shutting the crimping bead. Trim the excess wire. Done!